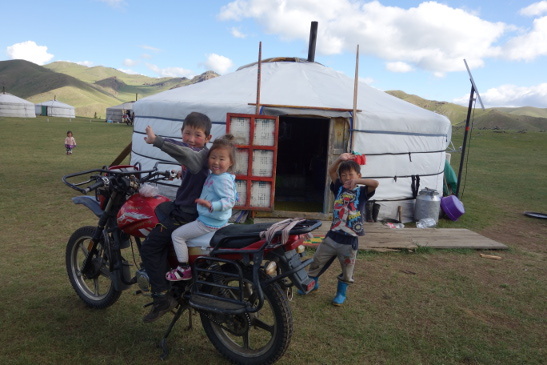 It was time to leave Mongolia, especially as our visas were about to expire. To be more precise, we were terrified that they were expired, as on all official documents it says that the month visas are only valid for 30 days. By forgetting that there are 31 days in July, we were on our 31st, if you counted our day of entry as our first day. Armed with the presumed fine money in US dollars and with bags that were substantially lighter due to having shipped the camping gear back to the UK, we marched to the train station. 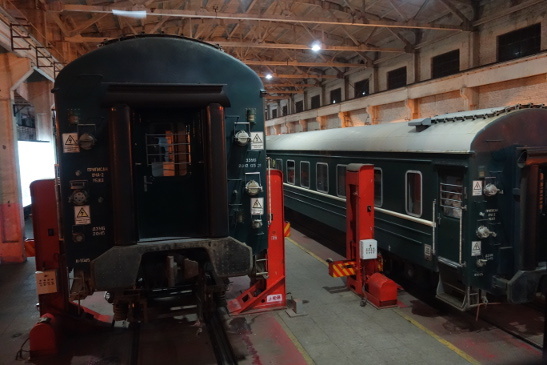 We were ready for our overnight train to Beijing, a journey that would take around 28 hours including stops and border control. It was a journey that Luke had been looking forward to without comparison, because on the border to china we had to change our wheels so that the train could continue on the narrower Chinese rails. We crossed the Mongolian border fairly early in the evening, with no issues at all. The official glanced at our entry stamp, took our passports, and returned with them stamped with an exit stamp. Our concerns evaporated. We didn’t even have to leave the train. Instead we had plenty of time to acquaint ourselves with a friendly Mongolian lady and her seemingly countless friends, who decided to use our second bed as their ‘base’ for the entire trip. They chattered away, shared their food, and laughed raucously at some jokes we unfortunately didn’t have the language skills to understand. 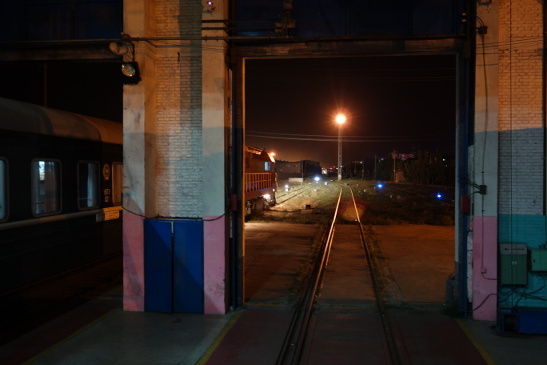 Just a few minutes train ride across no man’s land, we arrived at the Chinese border. Again, we didn’t even have to leave the train, as the attendants boarded the train, collected all forms and passports, and disappeared again into the world of bureaucracy. A seemingly endless time later they reappeared, and in the darkness we finally processed into the large hall for the most exciting bit of the journey- the changing of the wheels. The changing of the wheels occurred in a large hall, where the train was split into three parts and each carriage was separated from the rest, lifted up slowly, and the wheels rolled out from underneath it. These were then replaced with a new set, the carriages were lowered, everything was tightened, carriages were re-joined, and we set off! For about two minutes, before we were given a half hour stop at a massive (and mostly deserted) train station. I was relieved when we finally got back on and started off, and we caught several hours of sleep before we arrived in the Chinese capital. We bought our train tickets through a helpful man called Ganba on a website called Mongolian Train tickets. The price was around half of the one offered by Real Russia or other international companies, coming in at 110 USD. We were reassured when our hostel owner told us that she frequently uses him as a middleman to get tickets for her and travellers at her hostel as well, and our experience was great. He was very punctual, delivered the tickets to us and had us check all of the details before requiring payment, and even translated all of the information into English for us. We’d definitely recommend his service if you, for whatever reason, can’t buy the ticket at the station yourself!